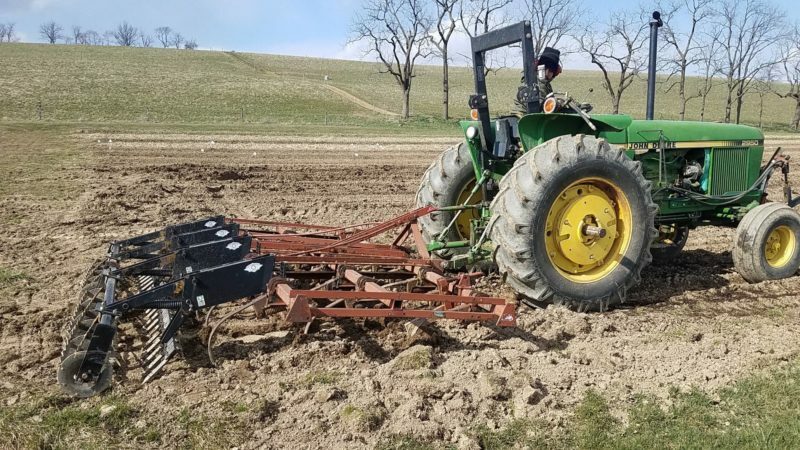 Tillage is the practice of digging up, turning over, or otherwise agitating the soil with mechanical tools—typically a plow or disc. Tilling breaks up soil compaction, helps eliminate weeds, and incorporates cover crops for boosted soil fertility. These are important benefits, but tillage also leaves soil vulnerable to erosion and destroys important fungal networks underground. Tillage is also fuel- and labor-intensive. Some farmers, both conventional and organic, practice reduced tillage or try to eliminate it altogether. In conventional systems, farmers can practice no-till by using chemical herbicides to kill cover crops before the next planting. Organic no-till, on the other hand, uses no synthetic inputs. Instead, small-scale organic no-till farmers use hand tools, like hoes and rakes. Large-scale organic no-till farmers can utilize a special tractor implement called the roller crimper (left), invented here at Rodale Institute. The roller crimper is a water-filled drum with chevron-patterned blades that attaches to the front of a tractor. As the farmer drives over the cover crop, the roller crimper mows the plants down, cutting the stems every seven inches. The cover crop, now terminated, remains on the ground where it forms a thick mulch that suffocates weeds. Implements on the rear of the tractor then part the cover crop mat, drop in seeds—soybeans, for example—and cover them up to ensure soil contact. It happens in a single pass, saving vital time and energy for farmers. The cash crop then grows straight up through the cover crop mulch. Not all cover crops are created equal when it comes to organic no-till. We have found the most success with annual crops including crimson clover, winter rye, winter barley, spring barley, spring oats, buckwheat, foxtail millet, pearl millet, fava bean, sunn hemp, black oats, hairy vetch, field peas, and winter wheat. The roller crimper won’t kill cover crops like red clover, which is a biennial; alfalfa, which is a perennial; or ‘Marshall’ rye, a kind of annual ryegrass. Timing is everything—cover crops must be terminated at just the right time at the end of their life cycle. This prevents them from a) continuing to grow after being rolled or b) going to seed and spreading. 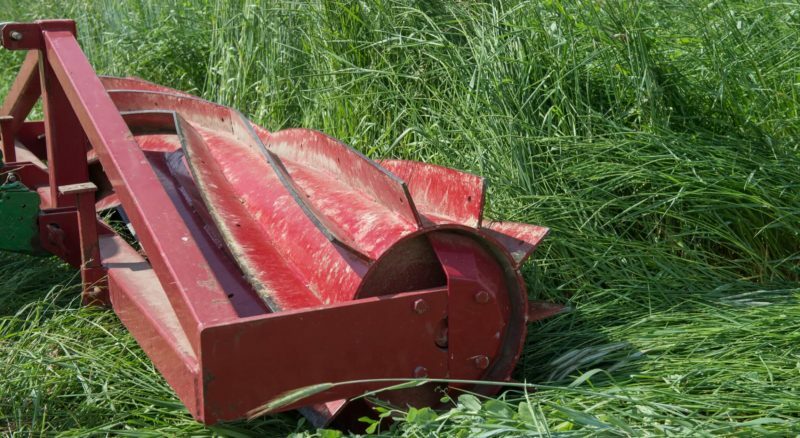 This is why, unfortunately, one can’t use the roller crimper to simply mow down a field of unruly weeds mid-summer—they’ll just spring back to life. You want to roll when the cover crop reaches anthesis—when it switches from being vegetative to reproductive. In a rye or small grain, this will occur almost uniformly through the field and you’ll notice pollen shed. 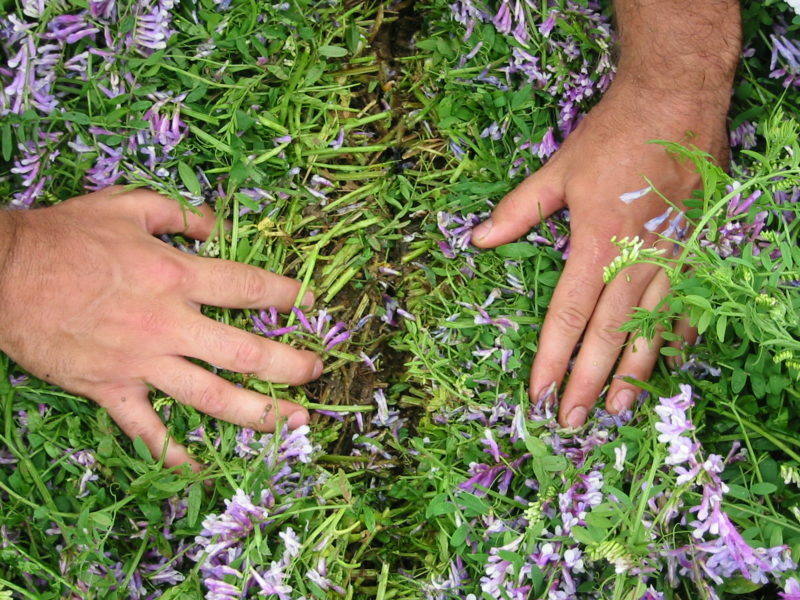 In vetch or legumes, which flower at different times, the rule of thumb is to roll when between 50% and 100% of the crop is flowering. 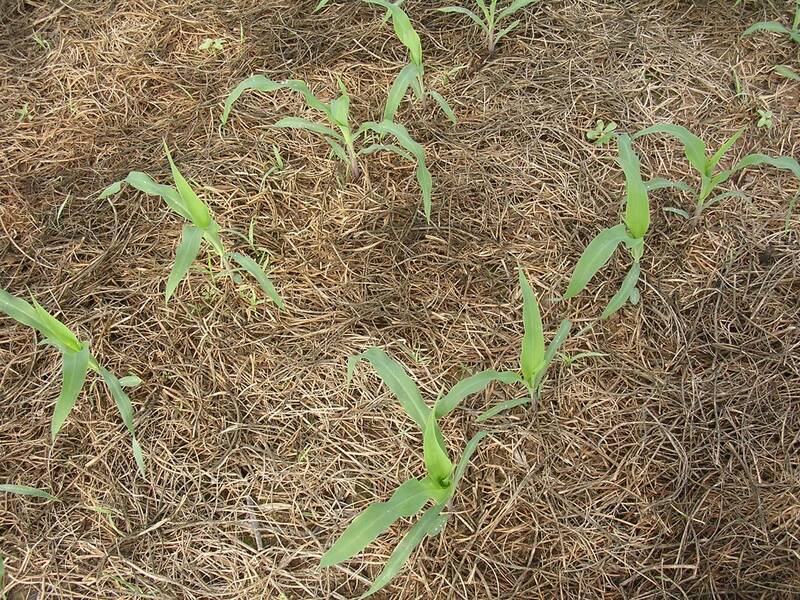 In general, best results from organic no-till are achieved in hot, dry weather conditions.